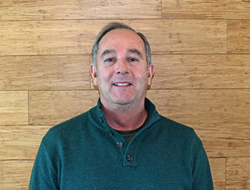 Utah-based Unified Communications company welcomes Don Pratt to its executive team. With Don's experience, energy, and passion for high growth within a financially sound framework, he's an incredible match for Jive. Jive Communications, a leading global Unified Communications provider, announced industry veteran Don Pratt has joined its executive team as Chief Financial Officer. Pratt has held CFO roles in tech companies for more than 18 years, primarily in the telecom, data, security, and UCaaS (Unified Communications as a Service) markets. During this time, Pratt raised over $350 million in equity and debt financing, and helped lead several venture-backed companies to successful exits. Pratt rounds out Jive’s executive management team and brings decades of experience in navigating private and public capital markets, fund raising, and IPO preparation. In addition, Jive will benefit from Pratt’s deep experience in the communications tech sector, enabling Jive to continue its high growth in a dynamic industry. Pratt was drawn to Jive because of his strong belief in the multi-billion-dollar UCaaS market and Jive’s focus on advancing communications technology. “Jive’s platform has been designed for high availability and scale, a foundation to high growth and significant market share,” said Pratt. Jive Communications, Inc. provides enterprise-grade Hosted VoIP and Unified Communications to businesses and institutions across the globe. Jive's hosted services include Jive Voice (Hosted PBX), Jive Contact Center, and Jive Video, which all run on Jive Cloud, a distributed platform built on open industry standards. Jive Cloud has been purpose-built to deliver the most reliable, powerful and economical hosted communication services available to the enterprise and public sector markets. Learn more at jive.com/products.